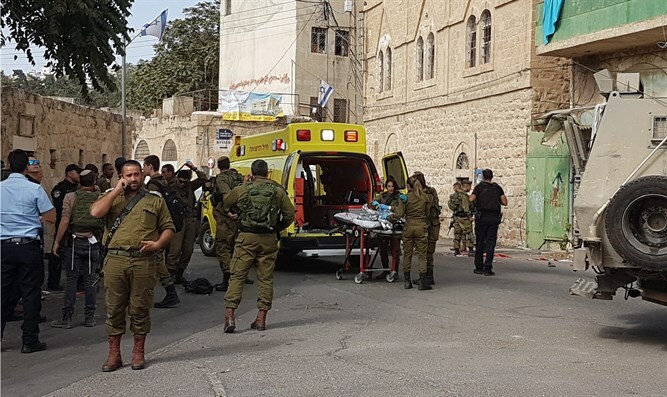 Soldier wounded in terror attack near Tomb of the Patriarchs in Hevron. Terrorist shot and killed. "When I arrived at the scene, I saw the terrorist lying in the middle of the road and next to him a sharp object after he tried to stab civilians and was neutralized by the soldiers. A young man who was lightly injured by the terrorist was treated at the scene and then taken to the hospital. There are no further casualties. ZAKA volunteers from the Shai region are taking care of the scene."